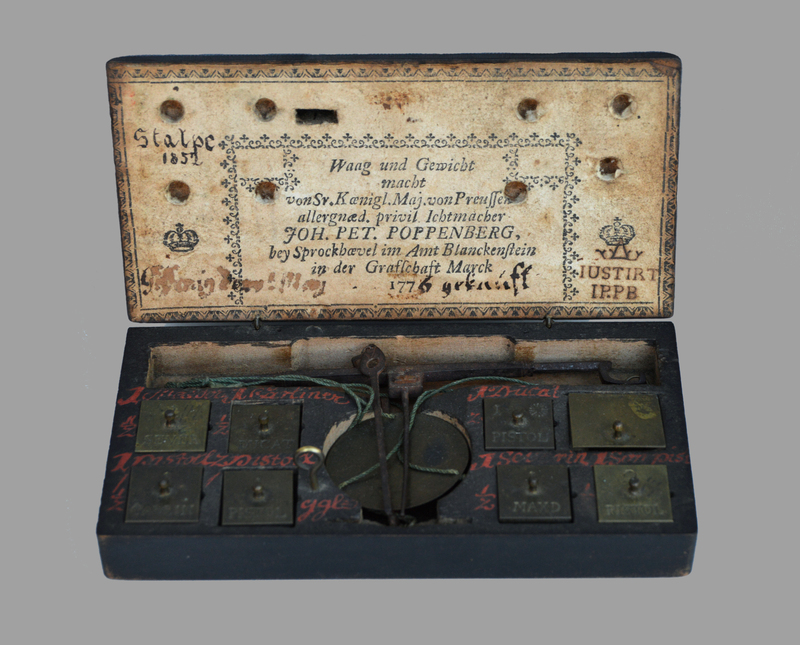 This beautifully made scale (probably for gold) is made to be portable and is all complete and in its original ebonized box. 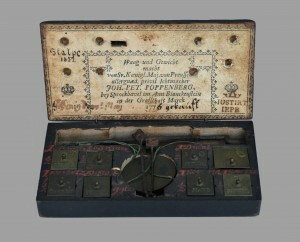 The little box has a molded top with cotter pin hinges and an engraved brass latch. Translation of the hand-written German text is available.